Situated in the Inland Empire region of California, Ontario International Airport serves millions of travelers each year. The airport has been making a large effort to attract new customers and airlines, including converting to LED. Outdoor Lighting plays an important role in the airport, improving the travelers experience and providing safety and security for the staffs and employees. SolarMax LED assisted the Airport to upgrade 300+ lights in the parking lot to energy efficient LEDs for a brighter and safer environment. During the process, SolarMax LED performed a comprehensive audit and data analysis of their existing lighting system. 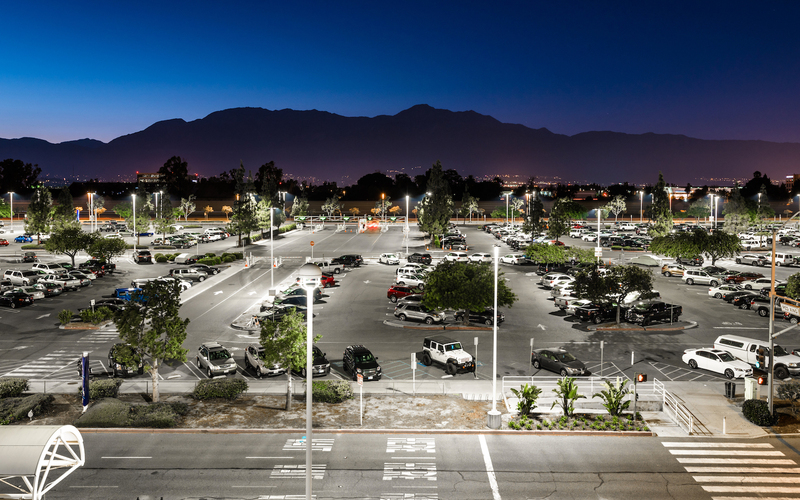 SolarMax LED provided a turnkey customized lighting solution, including coordinated installation, permit processing, project management and commissioning. The Airport explains that the switch has several benefits, including energy savings, product longevity and reduced maintenance. Consistently true color rendition is another significant benefit of LEDs. Ontario International Airport recognized SolarMax for its efficiency and precision throughout the project management and its expertise in design and engineering. For airports, long-term cost savings will make LEDs the preferred choice despite their higher upfront price. The overall investment in LED more than pays for itself. SolarMax LED offers the best LED lighting products in the industry, standing by our commitment to make airports brighter and safer for us all.